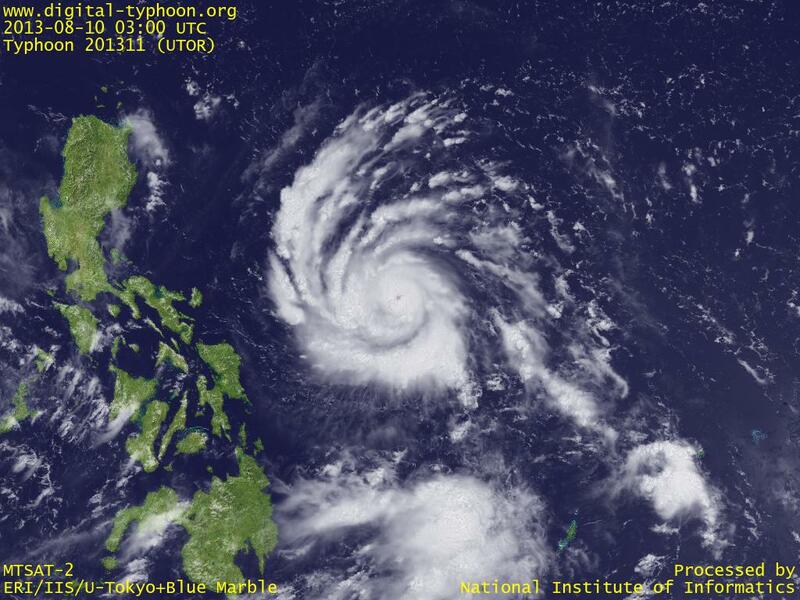 Typhoon UTOR was formed in east of Philippines. It is forecast to keep moving west, reaching somewhere between the northern part of Luzon Island and Luzon Strait. The shape of clouds looks like compact and well-organized, and it seems to be in the phase of intensification.